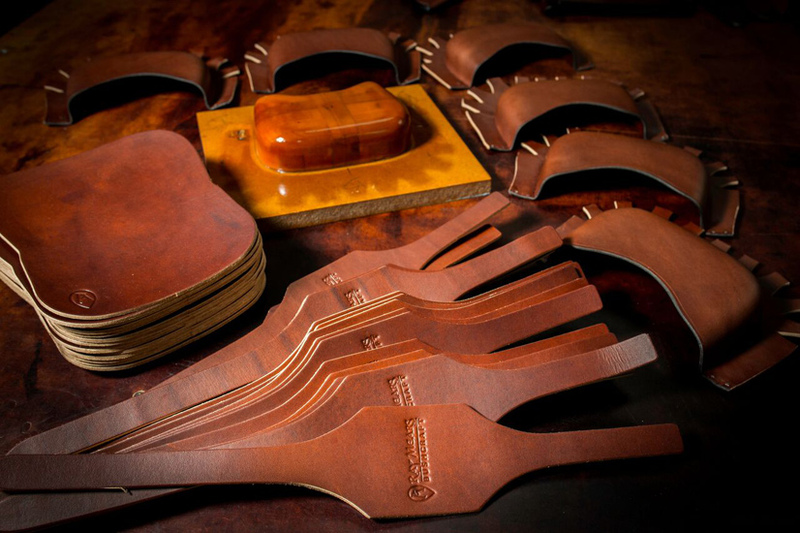 I love to see a batch of finished work but Keith has worked some camera magic here – the lighting has really brought out the lovely variety of colours and natural markings in the leather. 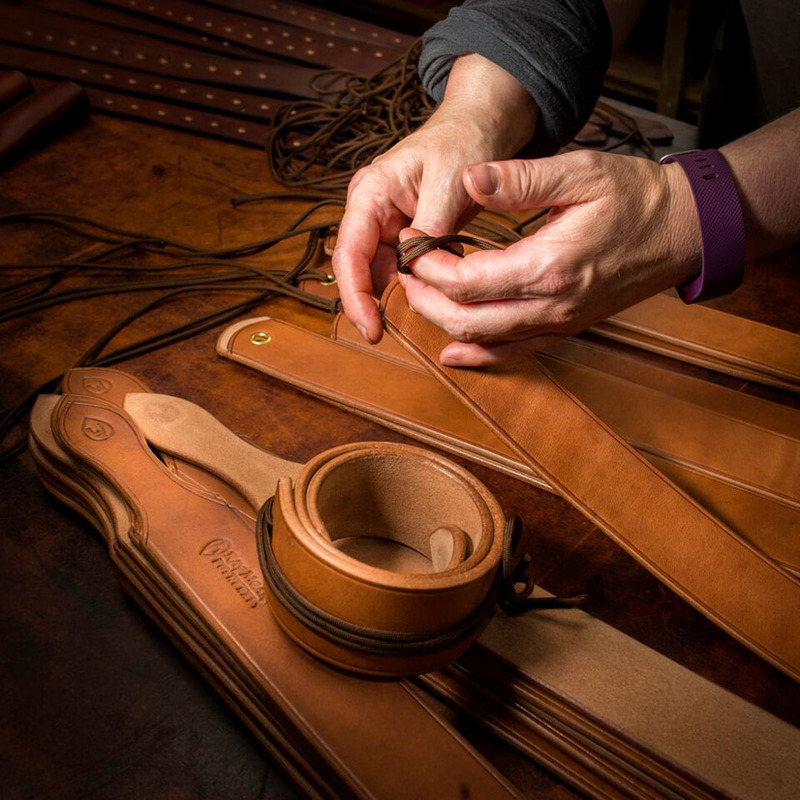 I always have a variety of leatherwork in progress as some of the processes require drying time like the moulded fronts of the Ray Mears Leather Belt Pouch – shown here with one of the moulds and its’ cut parts. 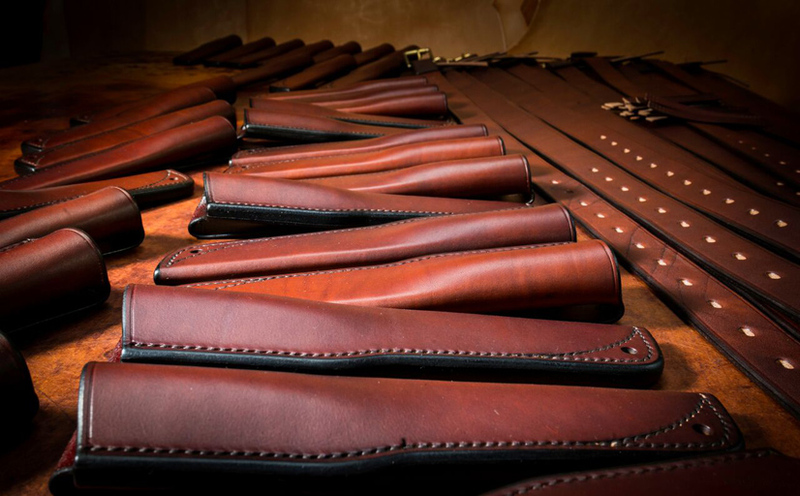 I was also putting the finishing touches to the new Ray Mears Leather Strop so that got snapped too! This entry was posted in The Woodlore Team and tagged Beck Brewster, Leather, Ray Mears, Ray Mears Bushcraft Knife, Ray Mears Leather Strop, woodlore, workshop on September 1, 2017 by Woodlore Team.